I am a tri-lateral amputee...both legs are above knee amputation and my right arm is off just below the elbow. Ten years ago I was complaining about the five other prosthetic companies I had used to a friend of mine. He suggested that I call California Prosthetic Center, since he had such success. When I called, I was pleased to have the chance to visit with a prothetist. He and I spoke about the problems I was having with my current prosthesis. I explained that the sockets didn't fit right and I could only wear my legs 2 1/2 - 3 hours a day. We also visited about advanced components available. I discovered that the legs I was wearing were designed in the 1940s. Newer innovation was available and I could benefit from the newer technology. One of my concerns had to do with the length of time it would take to make a new set of legs. I was shocked to hear it would take 6-10 working days, not 7-8 weeks, as with other companies I had used. It almost sounded too good to be true! So I decided to give California Prosthetic Center a try. I am from Iowa, so I flew down to visit on a Monday, and by Wednesday (just three days), I was walking on my new legs! After the initial evaluation and Amputee Mobility Prediction test, the Prothedist upgraded my components to microprocessor knees with split toe feet. They felt fantastic! My name is David Garcia. I had my left leg amputated below the knee back in November of 2012. A patient Advocate of California Prosthetic Center came to visit me in the hospital before surgery, and answered questions about life with a prosthetic. Following surgery and healing, I began the process of preparing my limb with a shrinker and completing and evaluation for casting my leg, so they could began to fabricate my prosthetic in their lab. 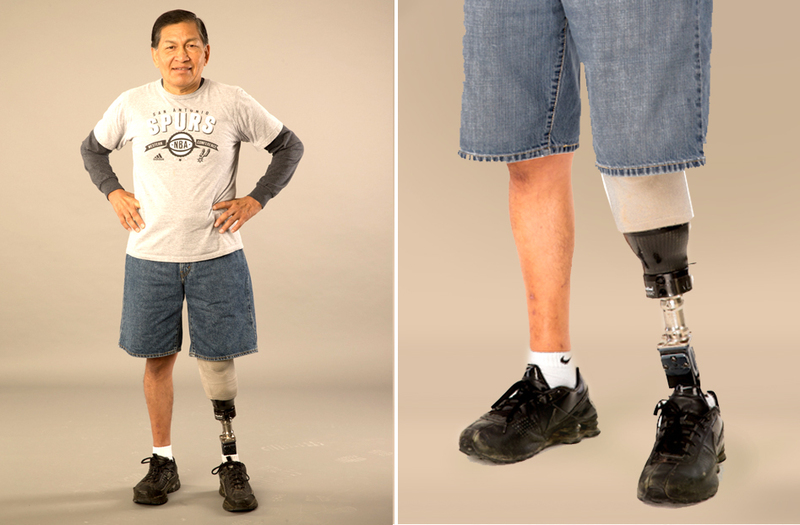 California Prosthetic Center has a very good understanding of the patients' needs. A prothetist will come to your house or facility if you cannot make it to the office. They listened and genuinely showed compassion for what I was feeling as I began to learn how to walk. Adjustments and alignment changes had to be made, as I progressed. As a patient since 2012, I have been very pleased with the patient care and service provided by California Prosthetic Center. The workmanship and communication has made all the difference. Today, I am up walking...even jogging...my life hasn't slowed down!